Uber Technologies Inc. and Hitachi Ltd. are among the companies that will flood London with 3,000 electric vehicles as part of a study aimed at overcoming a shortage of charging points blamed for holding back sales. The biggest-ever trial involving commercial electric vans and cars also includes energy suppliers Centrica PLC and SSE PLC. It will gather data on driving habits and journeys over three years with the aim of devising the optimum network for charging points and evaluating when electricity will be most in demand. 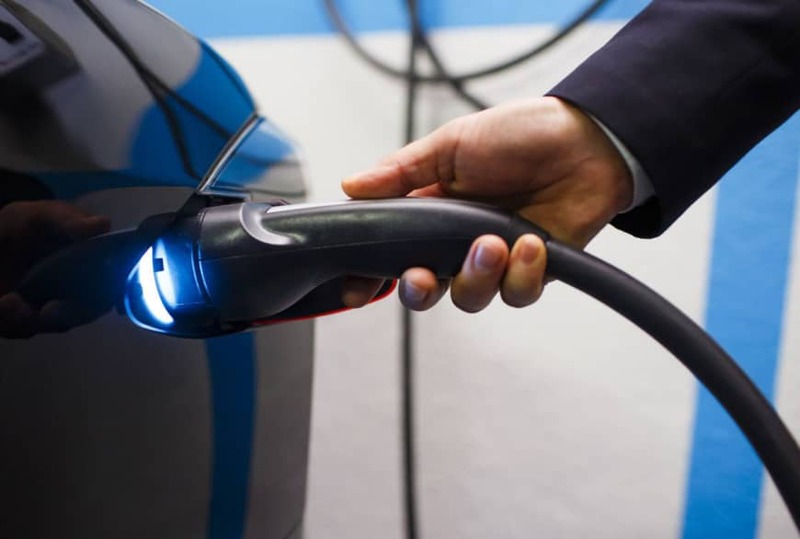 Charging infrastructure is currently limited even in the biggest cities and the information derived from the study, to be shared across the technology and automotive industries, will help inform corporate and government investments and decision-making, the Optimise Prime consortium said Friday. The trial, which also includes electric-cabling specialist U.K. Power Networks, will focus on London but also span rural parts of southeast England in a bid to gauge a range of motorist behavior. Data gleaned will include miles traveled, time of use, the charge consumed, and how weather affects travel habits. Britain was selected for the study because of its encouragement of electric vehicles, with the government saying it wants 60 percent of new car sales to be electric by 2030, versus 1.7 percent now. State energy regulator Ofgem will provide half of the £35 million ($45 million) needed to fund the trial, with the partner companies offering the rest. Uber, which has 65,000 drivers in the U.K., aims to be fully electric in London by 2025. Centrica, while participating chiefly as an electricity provider, has a fleet of 12,000 electric vans and 2,000 cars. Major carmakers are spending record amounts on electric lineups to keep pace with regulation, though customers have largely remained on the fence amid concerns about range limitations and the availability of charging facilities, as well as comparatively high purchase costs. Volkswagen AG and Tesco PLC said Thursday that they plan to build Britain’s largest vehicle-charging network spanning 2,500 bays across some 600 stores in the next three years, boosting the U.K. network by 14 percent. 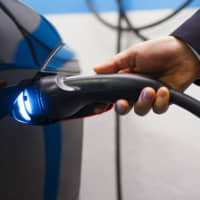 Customers will be able to charge their electric and plug-in hybrid cars using a 7-kilowatt charger for free or a 50-kilowatt charger “at the market rate,” according to a joint statement from the world’s largest automaker and the supermarket chain.